N-150 km 6,700 Baricentro, 08210 Barcelona, Spain. 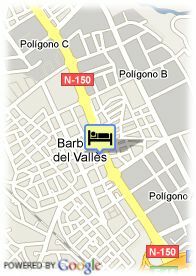 The Barberà Parc hotel, opened in April 2002, lies in the financial centre of the Vallès region, next to the Baricentro commercial and leisure centre and the A7 and C58 motorways, wich offer excellent communications with the city of Barcelona, just 14 km away. 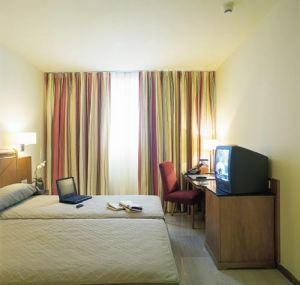 Offers 120 well-equipped rooms with television, phone, air-conditioning and bathroom. Hotel Colon is located opposite to the cathedrals 13th century façade, in Barcelonas Barrio Gotico district.